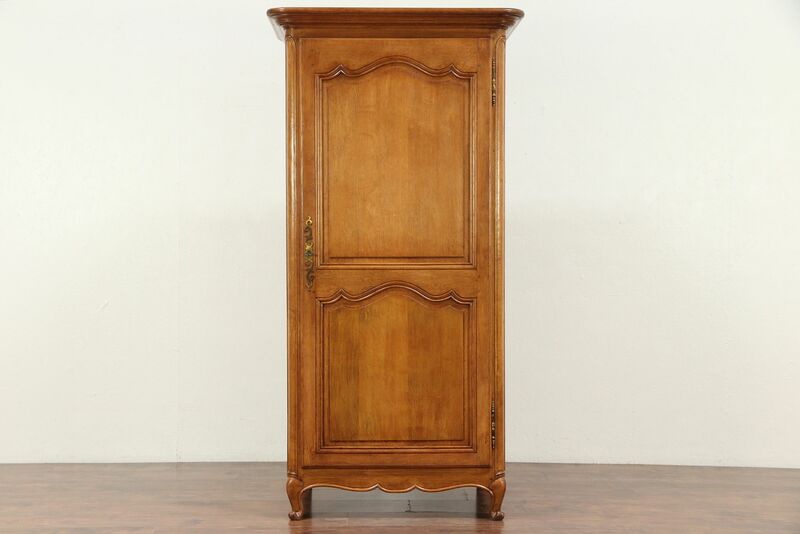 An authentic Country French armoire, wardrobe or closet was hand carved of solid fine grained oak about 1925 in France. The center shelf is removable and there is a closet pole at the top, more shelves could be added if desired. Measurements are 36" wide at the crown, 24" deep and 71" tall, interior depth is 19."